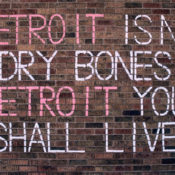 Earlier this month, an article was posted on ASLA’s The Dirt, titled ‘Detroit Is Not a Ruin’. I read the article, and posted a response as a discussion on Land8, found here. 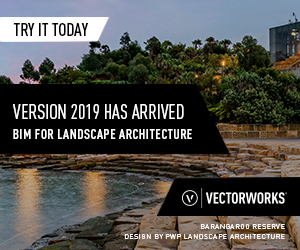 My initial reaction was dissatisfaction in the article based on the lack of research and an actual ‘landscape architecture’ take on the subject. Not to be a hypocrite, I decided to take my own advice and look deeper into local landscape architects’ influence on projects that are redefining Detroit’s rebirth. The original article was based on photography by Andrew Moore and Camilo Jose Vergara and an exhibit recently held at the National Building Museum in Washington, D.C. to showcase their work. The official press release can be found here. The following images are showcased in their exhibit. Another photographic documentary on the remains of the motor city on film was done by Yves Marchand and Romain Meffre, and placed as the cover of TIME on October 5th, 2009 (found here). Their website and work can be found at marchandmeffre.com. Over 5 years, the french photographers documented the massive state of decay in Detroit. The following are some of their documentary on Detroit. Yves Marchand and Romain Meffre,William Livingstone House, An Albert Kahn designed home demolished last year. Yves Marchand and Romain Meffre, United Artists Theater, closed in the 1970s. The images give me the feeling the photographers were walking around post-apocalyptic New York, like Will Smith in ‘I Am Legend’. No doubt, the images from both sets of photographers work is striking and compelling. Many could see these portraits as examples of poor neighborhood identification, poorly managed real estate, the result of poorly developed public spaces and transportation, the overgrowth of a society and highway expansion, lack of governmental vision and planning, and on and on…. I will begin on the assumption that everyone understands the rapid decline of the city’s population over the last 30 years. If not, please reference these cases, here and here. A startling figure put forth by Michigan Radio reporter Sarah Hulett, was that not only was Michigan the only state population to decline between 2000 and 2010, but the emigration rate in Detroit was one person left the city every 22 minutes in that time period! The population of the city in 2010 finally dipped below its size during the growth one hundred years earlier. However, the metropolitan region still currently holds roughly one-half of the state’s population. At the base of Detroit’s development and growth lies a solid group of forward thinking business men that led innovative, new strategies in shipping, technology, and manufacturing . The most obvious, and definitely worthy of the fame is Henry Ford, developing the assembly line and roots for the Big Three. Many would include Horace and John Dodge as instrumental parts of the growth of the motor industry as engineers for Olds and Ford before the company was sold to Chrysler. William C. Durant, co-founder of General Motors with Frederic L. Smith, and Chevrolet with Louis Chevrolet were also all based in Detroit. The Big Three grew to such an instrumental part of the U.S. economy that it supported one of every 10 jobs in the United States, and required the government to bail out two of the three during the automotive industry crisis in 2008. Even before the growth of the automotive industry, railroad manufacturers such as Charles Lang Freer and Colonel Frank J. Hecker, founders of the Peninsular Car Company, were Detroit’s largest manufacturer, building more than 100 new freight cars per day in the late 1800’s. Since the 1960’s racial diversity, crime, political division and scrutiny have plagued the city. Political scandals have been rumored through generations of Detroit mayors, but from 2002-2008, Kwame Kilpatrick committed countless acts of fraud, embezzlement, and other criminal activity. He has been charged with 10 felony charges, and he is under a 38-charge felony indictment (currently in prison for a probation violation). In 2008, Forbes ranked Detroit as The Most Miserable City in the U.S. due to the city having the highest violent crime rate combined with the second highest unemployment rate in the U.S. (Badenhausen, Kurt, ‘America’s Most Miserable Cities’, Forbes, 01/30/2008). However, Detroit still emerged as one of the top five cities for job growth in the U.S. between 2010 and 2012, with a large increase in manufacturing jobs with specialties in transportation and machinery. (‘Detroit Adds Manufacturing Jobs, Rises to Number Two Spot in Top U.S. Metropolitan Areas for Job Growth’, Huffington Post, 05/09/2012). Clearly, Detroit had built the infrastructure to support a thriving economy, but cultural issues, crime and lack of ownership and pride in the city led to degradation and emigration. There are multiple components involved in reenergizing development and growth back into an urban environment, however, I believe the two most important components are revitalizing the history and culture of the metropolis, and redeveloping commercial and residential growth. These two building blocks are ones that the field of landscape architecture can directly influence and help to evolve. The two projects that I will show are direct examples of each currently being employed in Detroit. The third component is bringing in the entrepreneurs and visionaries that believe in the city, and ultimately can provide the change the city needs with new technologies and services, financial anchors, and residual networks from major business nodes through financial and talent investment and job creation. Each major city is basically a result of entrepreneurial insight and development, and even today most major cities can be traced to its founding leaders. Likewise, the health of the city can also be gaged on the growth of these entrepreneurs, small companies and young professionals. To find these new leaders and foster those relationships is critical. The first step is stabilizing the existing built environment, by enhancing and restoring the historical character of the urban public spaces. Detroit has a rich and diverse history, with many historical and culturally relevant spaces throughout the city. However, the majority of the regrowth has come in isolated pockets throughout. One such pocket is the campus and surrounding area of Wayne State University. This area is named the Midtown Cultural Center Historic District, and contains the Detroit Public Library, Detroit Medical School, Museum of African American History, Detroit History Museum, Detroit Institute of Arts and countless other educational and cultural buildings. Much of this area and many of these buildings were built in the late 1800’s as the city expanded from its core, and many are listed on the National Register of Historic Places. Some of the most prominent business men of the time built beautiful estates along these developments on the Woodward corridor. Once such row, with millionaires building beautiful architectural estates, was down Ferry St. on the East side of Woodward in the Ferry Avenue Historic District. The two founders of the Peninsular Car Company, Charles Lang Freer and Colonel Frank J. Hecker built two of the most strikingly magnificent homes next to one another. With different architects and styles, these two mansions are an amazing site to see in a now downtown urban setting. The Charles Lang Freer House Courtyard and Garden were completed in 1906. The space was redesigned in 1965, however, the courtyard garden and landscape has declined to a deteriorated and barren state, far distant from the glories of “Mr. Freer’s Garden”. A committee funded by the Americana Foundation and spearheaded by Wayne State University is now attempting to redesign the space and bring back its former glory. A further incentive to revitalize the area came as the M-1 Street Car Light Rail has now proposed a stop at the intersection of Woodward and Ferry, directly next to the property. An update of the project from the Merrill Palmer Skillman Institute can be found here. Further historical information and future development can be found here. The goal of the project is to restore the functionality of the space in an aesthetically pleasing landscape as well as create a place that is culturally respective and historically accurate. While original elements of the garden have been relocated to the Freer Gallery of Art at the Smithsonian in Washington D.C., their replication is vital to retain the sense of space originally designed and enjoyed by Charles Lang Freer and his guests. The efforts of historians and researchers were vital to obtain archived documents and photographs to ensure the legitimacy of every aspect of the project; from garden layout, rail detailing, stone lantern dimensions, to the plant palette, etc – every aspect of the project was considered and reviewed. The Michigan State Fairgrounds, located at 8 Mile and Woodward, is claimed to be the oldest state fair in the U.S. and received its permanent home in 1905. In 2009, due to budget deficits, all funds were cut for the Fairgrounds. In 2012, Michigan’s governor signed a Senate bill which would authorize the transfer of the fairgrounds land to the Land Bank Fast Track Authority, which would oversee the land for future development. The following is a direct copy of the article by Marcus Wright on Michigan Citizen found here. The Michigan Land Bank Fast Track transfer program has devised a plan to give developer MAGIC Plus LLC the State Fairgrounds property to build an outdoor strip mall. The property is owned by the taxpayers of Michigan. According to Michigan Land Bank’s website, the proposal submitted by MAGIC includes a mixed-use development for the entire property that combines retail, residential, green space and entertainment uses. In addition, MAGIC proposes to renovate and utilize some of the existing buildings. The property is scheduled for transfer to MAGIC between Dec. 15 and Jan. 1, 2013. However, a group of citizens said they have a bigger and better vision for use of the property. Michigan Energy Technology Agriculture, META EXPO, unveiled a plan Dec. 1 for a multi-modal mixed use center. GrowTown Vice President Kenneth Weikal presented the plan, “What Can Michigan Show the World.” It provided information on how the project would connect Michigan’s businesses, universities and entrepreneurs. The project hopes to bring together regional transit, exposition and entertainment, technology, green energy and blue water systems, commercial/residential and regional/metropolitan agriculture. The Committee, appointed by Gov. Rick Snyder, will be the sole “deciders” on the fate of the 160 acres of Fairground property. The Advisory Committee, made up of representatives from five associations — Golf Club, Greenacres, Palmer Woods, Sherwood Forest and University District — requested the meeting. Land transfer has been delayed due to public opposition, and is scheduled for review in March. The citizens State Fair Development Coalition first presented the META EXPO concept as public comment at the November 15th community meeting on Detroit’s north west side, hosted by the Michigan Land Bank. This meeting was to gain public comment about the proposed shopping mall plan for the State Fair Property submitted by Magic Plus LLC. The public was “under-whelmed” by the Magic Plan. The local Fairgrounds Advisory Committee is supposed to be the conduit for community opinion and comment to the Michigan Land Bank Authority appointed by the Governor. The Land Bank has final say about what happens to the property. The Meta Expo Transit-Oriented-Development concept at this key regional intersection of Woodward Avenue and 8 Mile Road, would offer excellent jobs and careers. Their current focus is on improving neighborhoods in Detroit. One such neighborhood, Penrose, is located directly South of the State Fairground and led to their involvement with the project. Detroit’s growth and history can be directly linked to its original innovative entrepreneurs and its rebirth will ultimately be decided by business leaders and executives that have a loyalty and vested interest to reestablish the city’s development. Mike Ilitch, owner of both the Detroit Red Wings and Detroit Tigers, has been instrumental in keeping his major sports team centrally located in Detroit, as well as keeping them as major competitors in their sport. The developments of the new ‘Tiger Stadium’, Comerica Park along with the Lion’s Ford Field brought back a large income resource for the local area, reenergizing local staples like The Fox, The Detroit Opera House, State Theater, and generating revenue for many other small businesses and restaurants. Gilbert transplanted the majority of his Quicken Loans staff from the suburbs to downtown Detroit and launched another company, Bizdom U in Detroit in 2007. The non-profit entrepreneurial academy trains, mentors and finances business builders in their start-up enterprises in the city of Detroit. Bizdom U’s mission is to create successful businesses, jobs, growth and wealth in large urban centers. Gilbert, graduate of Michigan State and Wayne State University, is arguably the catalyst and most influential figure in the drive to rebuild the Motor CIty. The Hudson Webber Foundation is currently driving for a 15×15 Initiative – enticing 15,000 four year graduates under 35 to move to Detroit by 2015. The belief is that not only will this help housing, jobs and business opportunities, retail and third places, and safety and perceived safety, but this will also help create employment opportunities, engage in workforce preparation and education programs, and improve safety for existing Detroit residents. Detroit isn’t just a city in the midst of decay; it is an evolving, living space filled with history and potential. That potential can only be realized by those that search to further enrich the culture and build upon the narrative of its past and further develop the region through creative and thoughtful solutions emerging from the interrelationships of the people, places and design elements that are in place. At a glance through the lens of a photographer, spaces may seem dead and long forgotten. This is only a filter. Walking the city and talking to the residents, professionals engaged in the rebirth of the city, and political and business leaders can lead to a completely different view of the city. In fact, the Project for Public Spaces has chosen Detroit to be the city for its inaugural meeting of the PPS Leadership Council this April 11-12th, based on the fact that ‘Michigan communities are leading the way in demonstrating the potential impact of Placemaking projects and in evolving Placemaking as a broad leadership, governance and development focus’ (‘Supporting Placemaking Leadership in Michigan’,12/21/2012). This is an amazing opportunity for Landscape Architects in the Detroit Metro Area to fully realize the necessary changes to places and spaces that speak to their fellow citizens. Detroit does not monopolize the issues it faces. Urban blight, building decay and degradation, neglect, crime, and lack of economic support are common problems in every urban hub all over the world. Detroit also does not have exclusive rights over the ways that it can improve on these conditions and complications. Learning from both our positive and negative experiences, we can come together to have the edge on developing new and innovative ways to create the spaces and places that work best for a city and its people. I have posted some links below to resources and further reading. As always, please feel free to share your thoughts and comment below. Thanks!